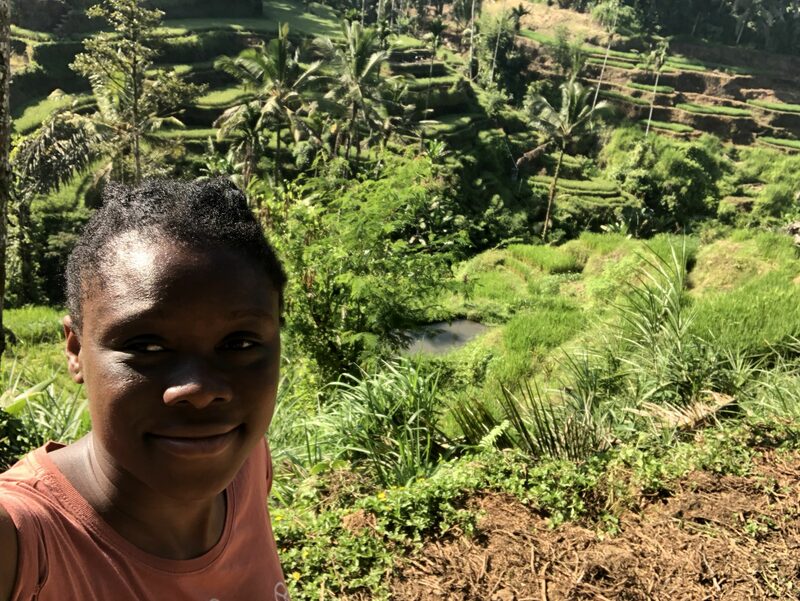 As I reported on a previous blog and on social media, I had been away on trip to Bali, Indonesia. I have been back home in the UK for a couple of days now and I have so much to write about it! Before this trip, I already had some vague idea about what is was to be a digital nomad. But I’d never really thought of it as a real possibility until I one day stumbled across StartMeUp on Facebook. I was in awe at what this company had to offer: internships in exotic locations where you can learn all sorts of useful digital skills whilst as experiencing adventures abroad. It sounded just like my cup of tea! Especially as I’d previously used to think that my only options for working abroad were doing things like au pairing, camp counselling, bar work, fruit picking, etc – none of which are jobs at suit me, by the way! So it was a real blessing to discover StartMeUp and have this opportunity for a really productive and enjoyable type of working holiday. On the very first day of my internship, we stuck right into business by attending a Facebook ads workshop arranged by StartMeUp. I found it very eye-opening and informative, and I’m now equipped with better knowledge at creating Facebook ads for my business. 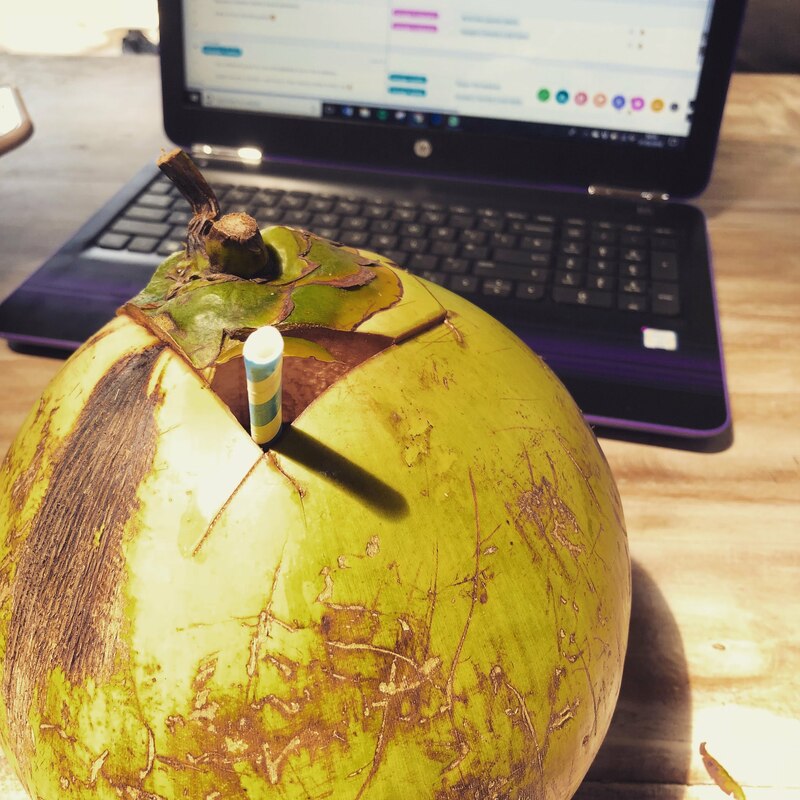 Clare Harrison, StartMeUp’s founder, was in Bali too and provided lots of support as well advice on how to improve my blog writing and make it more fun and friendly for my readers. My placement was with a startup called Learn with Locals, who provide different classes and experiences to tourists, as taught by local people. Their work really interests me and I enjoyed suggesting new marketing ideas, writing content for their website and creating their Eventbrite page. 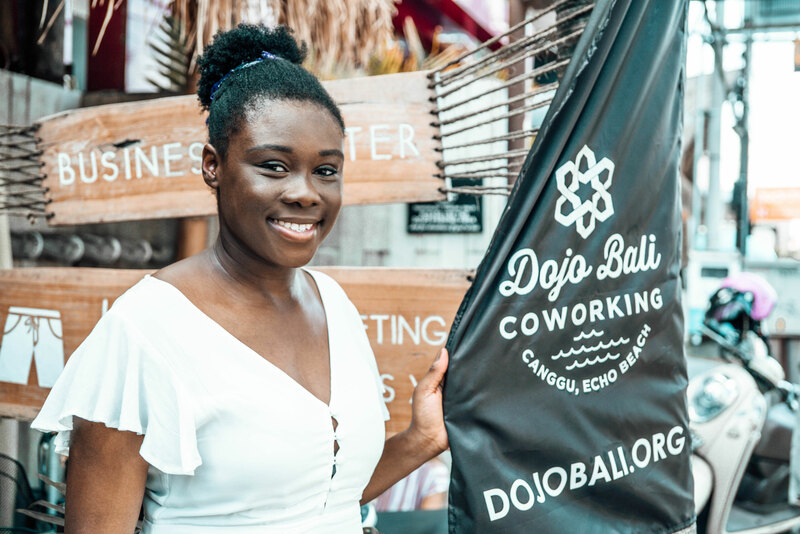 I worked at Dojo, a popular co-working space in Bali that holds many different events. The seminars and workshops that I attended covered topics such as motivation, email marketing, branding, data visualisation, masterminding and making money with YouTube. I’d used co-working spaces before every now and then back in the UK, but not one quite like Dojo. The community aspect at Dojo is brilliant, as the staff are all very friendly and encourage you to partake in the many events held there. In addition to the educational events, there are also plenty of social events to get involved in, such as the BBQ, nights out, lunches, dinners and trips. So, if you want to meet people at Dojo, it is certainly very easy to. The space itself is lovely and purpose-built. There are all sorts of hotdesking options, Skype booths for when you need some extra privacy and quiet to do a video call, lockers to keep your valuables in when you want to head straight to the beach or bar, in-house café with a great range of food and drink, free coffee and tea making facilities when you want to be cheap – basically anything you need from an office space, Dojo has it. The Faraway Sports Bar across from Dojo hands down does the best nasi goreng – I’m missing it already! Young Coconut water is great for Bali belly, and also just great as a refreshing drink. I’d never heard of snakeskin fruit, but I really like it – as the name suggests, its skin looks like snake scales and the taste is similar to apple. The heat can be a struggle to work in, though I managed to get around that by working in the late afternoons and evenings when it was cooler – this also worked out well for when I had calls with clients in the UK and could sync up to their time. It was difficult being away from my fiancé for a month, so I’ll need to bring him with me next time! I love travelling and still want to do more. There are a lot of places I still have left to tick off my bucket list – just need to find a suitable location independent job that my fiancé can swap his bin man job for. That, or I’ll just keep growing the business until it’s making enough to support the both of us. My experience at Dojo was amazing and has inspired me to revisit becoming a member of a co-working space in Edinburgh, particularly one with a similar ethos for community and events. It was inspiring to be around so many like-minded entrepreneurs who have managed to craft the life they want instead of what is expected of them, and I want to continue in that mindset, growing my business to allow me to do what I want, when I want.